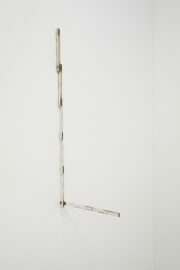 Since the 1980s, Fernanda Gomes has used ordinary and affordable materials to make objects and bricolages (always untitled) whose formal idiom recalls Arte Povera, minimalism, and Brazilian Constructivism. 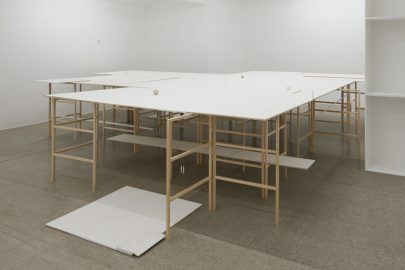 Her exhibitions often consist of an abundance of objects scattered across the floor and walls, gathered in clusters or rhythmically organized arrangements. Leftovers and lost, disregarded, or discarded items as well as commonplace objects are arranged in the space, assembled in fragile and precarious constructions or consolidated and corded for more compact creations. 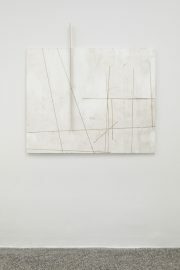 The only paint the artist uses is white, which she cherishes as the “receptive colour,” revealing even the subtlest shifts in the tonality and intensity of the light. 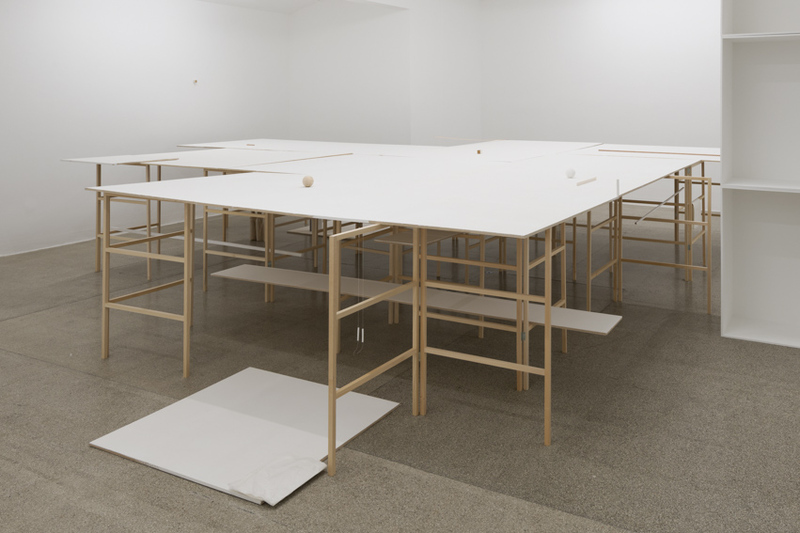 Immersion in spaces and places is a key aspect of Fernanda Gomes’s approach to art-making, just as is a radical investigation of sculpture and painting, their respective features and intertwining relationship. She explores the characteristic qualities of a setting—the lighting, proportions, the materials, etc.—both through careful observation and by allowing them to affect her on an intuitive level. 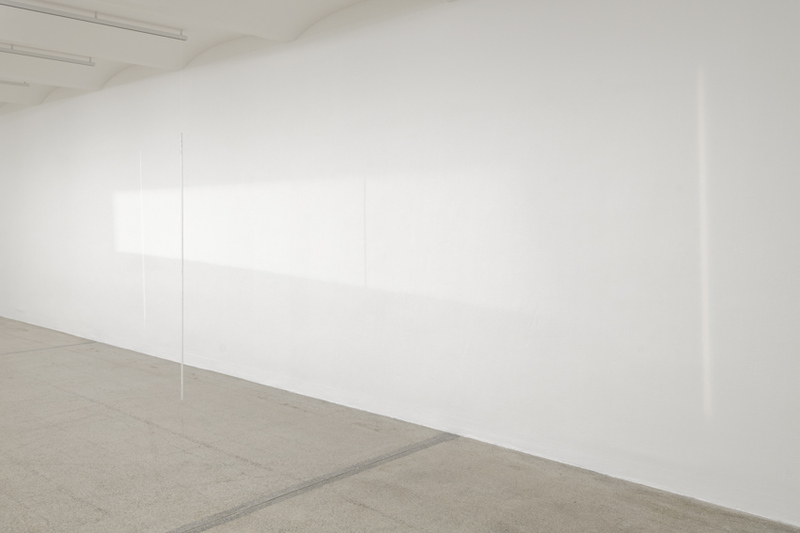 Empty spaces, the artist believes, are not vacant; on the contrary, they teem with information. 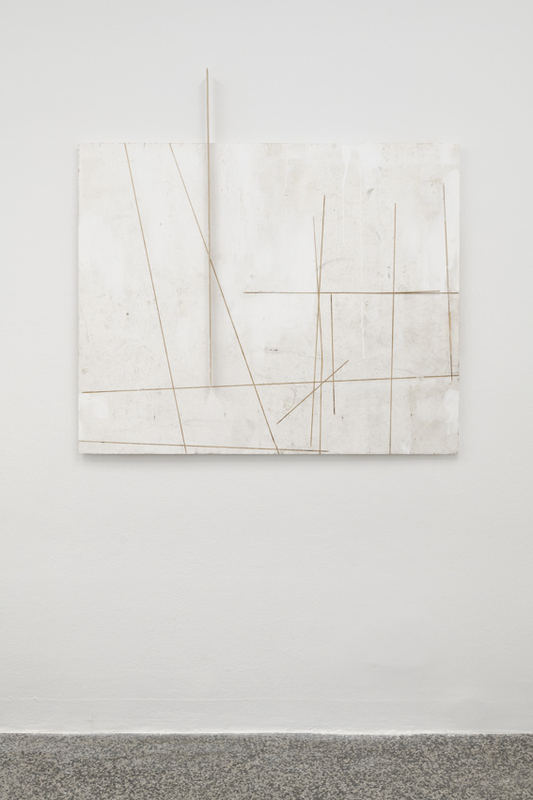 Both the placement and the constructive execution of her works respond to the exhibition space. Natural or artificial light generates an ephemeral play of reflections and shadows that activates the situations. 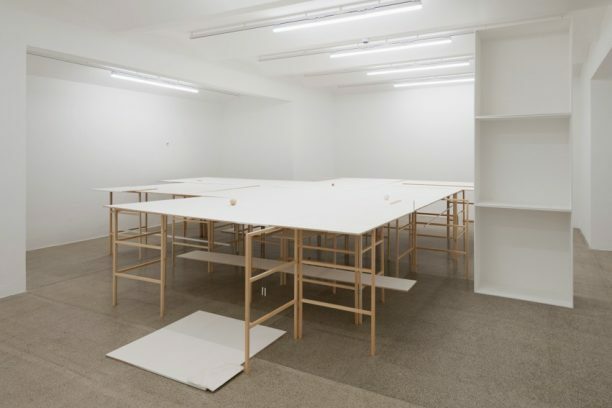 At the Secession, Fernanda Gomes applies her usual approach of letting the space reverberate with her: “much of the process is purely mental, and unpredictable. 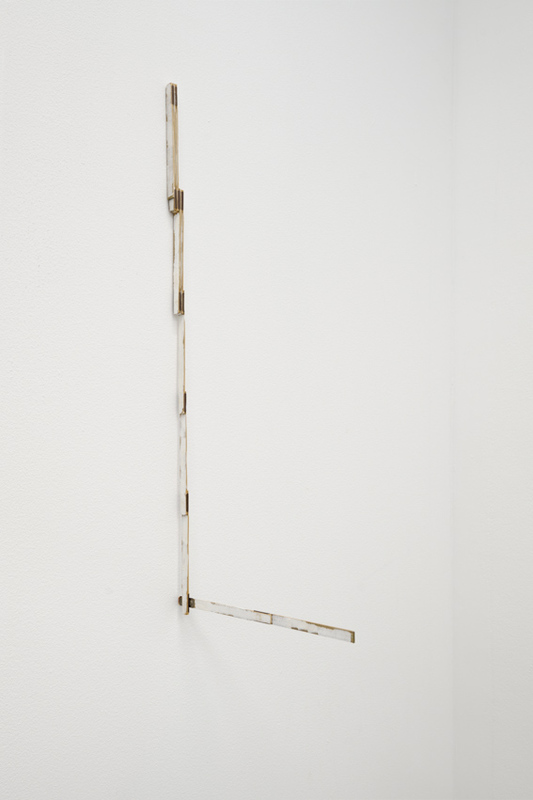 each exhibition is a piece in itself, created from the perspective of a given situation. the core of the action is to produce a state of being, thinking, feeling, moving, also to produce joy. i love arriving with bare hands, bringing nothing for an exhibition, having no transportation, no artworks. it still gives me the thrill, the lightness of the many possibilities, of everything open and fresh. it confirms, once more, the immateriality of the essence of things. when words fade out, the game starts seriously. to play with things is maybe the first language we know. before the word there is the world, intact in its mystery and fascination,” she states. Fernanda Gomes was born in Rio de Janeiro in 1960 and lives and works in Rio de Janeiro.